Here’s a phenomenon that I’ve yet to see generate much comment: during Chinese holiday weekends (like this weekend, in which they are supposed to be celebrating the mid-Autumn Festival), the internet grinds to a near standstill in Shanghai. I suppose there are several explanations for this occasionally observed (by me and this other guy I know) phenomenon, but I’m going to go with the simplest one: the Shanghainese like to spend their traditional holidays playing graphics intensive games and downloading really large files (to hell with eating mooncakes). This is made more difficult by the simple, unfortunate fact that Shanghai has the slowest internet in China. I suppose it’s the case that people in other countries, too, like to celebrate the holidays by cruising the internet. But, at least where I’m from (Minnesota, USA), the demands on networks actually decrease during holidays, and increase during the work week. 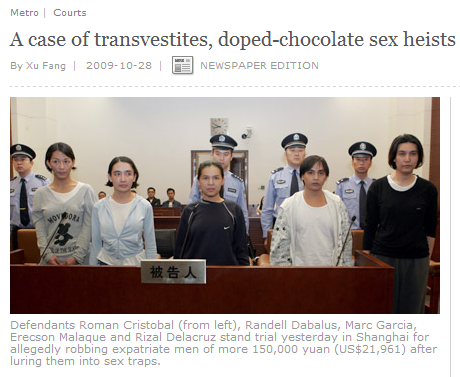 Why that isn’t the case in Shanghai is a topic for those much more familiar with these matters than me. For now, I’d just like to mention that – since it’s a holiday weekend – I’m desperate to download some very large files, and very frustrated that it’s just not going to happen. 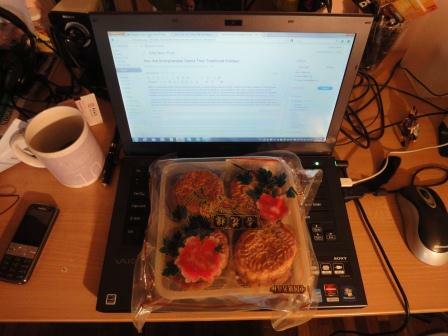 Happy Mooncake Festival, peeps, and sorry to have been out of sight for so long. Over the years there have been some very fine books written about the experience of moving to China as a young foreigner, and the struggles encountered in trying to learn the language and culture. But I’ve long thought that an equally interesting experience – moving to China as an adult, post-30 foreigner, and struggling with the language and culture with some life experience under the proverbial belt – has been overlooked. And that’s a missed opportunity, I think: every year, it seems, there are more and more adults having that experience. 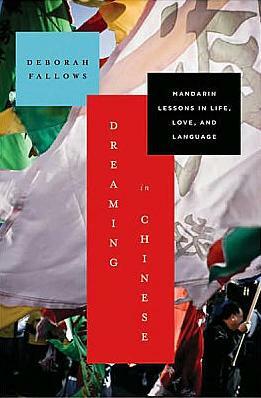 It can be a humbling experience, as well an exhilarating one, and that’s why I’m so enthusiastic about Deborah Fallows‘ Dreaming in Chinese: Mandarin Lessons in Life, Love, and Language, recently published in its American edition. Foreigners I met and knew in China used their different passions to help them interpret China: artists used China’s art world, as others used Chinese cooking, or traditional medicine, or business, or music, or any number of things they knew about. I used the language, or more precisely, the study of the language. After finishing the American edition, I sent along a few questions to the author, which she graciously answers, below (fyi: my friends at danwei did a Q&A with her on the occasion of the UK edition, here). Wait a second – the US Census doesn’t count Americans abroad? However, at 21 sites we visited, we found various discrepancies between what the public relations firm indicated had occurred, and what actually took place. For example, while the firm’s tracking system indicated that questionnaires would be available at a restaurant and an English-language bookstore in Guadalajara, none were present. Likewise, in Paris, we went to several locations where the tracking system indicated that census information would be available. None was. In fact, at some of these sites, not only was there no information about the census, but there was no indication that the organization we were looking for resided at the address we had from the database. In the meantime, funny to think that – for the next ten years – I am an “uncounted and unenumerated” American. Thought: does that do anything to help me with the two unpaid Minneapolis parking tickets I acquired in February? How is Expo 2010 changing Shanghai? One blogger’s perspective. Just got off the phone with a reporter interested to know how the Expo (ie, World’s Fair) is changing Shanghai. No offense to this particular hack, but I’ve been having that conversation a whole lot recently, and it usually goes something like this: “Lots of new infrastructure, great new subways, but please stop demolishing all of the old neighborhoods that were among the best reasons to visit Shanghai in the first place.” In other words, so far at least (and despite the keening and hollering from long-term expats across Shanghai) it hasn’t really had much of an impact on (my) day-to-day life (my professional life, that’s another matter). My favorite pirate DVD store is now a sporting goods retailer. To access the DVDs, I’m required to slip between a rack of warm-up jackets and then through a hidden door. The hidden door is opened only when a look-out nods – presumably to assure all involved that the coast is clear. Related: not seeing many new DVD releases in town. Last batch came in just before Oscar time. Tired of watching A Serious Man. A small uptick in the number of Caucasian foreigners in Shanghai. However, they all appear to be employed by Expo pavilions. Otherwise, no more foreigners than usual in these parts. Suddenly, the Shanghainese are waiting for the walk signal at crosswalks. This is incredible. Noticeably fewer scrap peddlers on the streets, presumably chased off by Shanghai officials concerned that small-scale recyclers will hurt the city’s image with foreigners. You know what else hurts Shanghai’s image? Trash on the streets. [Shanghai authorities, mark my words: this decision will haunt you]. Yesterday I was asked to show my passport before I could enter the subway [given, this could’ve been related to the Moscow subway bombing – but still]. Upon further reflection, I’m okay with this so long as the various stations start stamping exit-entry info into said passports [but please, no visas]. Related: the 14-year-olds the city hired to staff the baggage x-ray machines installed at the city’s subway stations are now awake for their shifts, and supervised by 18-year-olds. Previously, they’d spent most of their time asleep or – if they were ambitious – texting their friends. Due to restrictions on blade sales during the Expo, I have been forced to put off adding to my fencing rapier and fruit knife collections until November. My landlord, when negotiating my new lease, used the Expo as an argument for raising my rent. In response, I told her that if she ever decides to rent in Minneapolis during the annual month-long Holidazzle, the price is double. And I’ll leave it at that. Comment thread open.